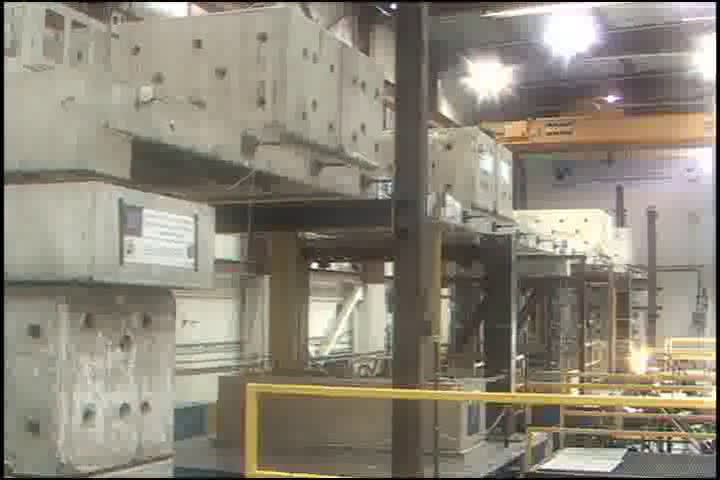 After a succession of eight separate earthquake simulations, a 110-foot long, 200-ton concrete bridge model at the University of Nevada, Reno withstood a powerful jolting, three times the acceleration of the disastrous 1994 magnitude 6.9 Northridge, Calif. earthquake, and survived in good condition. "This is very satisfying to see how well the design and components worked," Saiid Saiidi, principal investigator for the project and University of Nevada civil engineering professor said after the final test on this bridge Tuesday afternoon. "We estimated bridge failure at 8 inches of deflection, which is a lot, but we had 10 inches of deflection in the support columns and the bridge remained standing and usable, even with considerable internal stresses." The bridge model is shaken with bidirectional forces to realistically simulate an earthquake. The researchers mimic the Northridge earthquake using recorded data of the actual earthquake. Computer programs direct the movements of the three large hydraulically-controlled shake tables in the University's world-renowned, large-scale structures laboratory. "We know the bridge would have survived that quake in good condition and still be usable," Saiidi said. 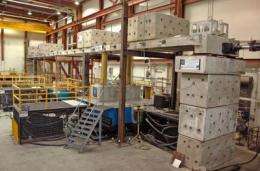 The University of Nevada research team is experimenting with and testing a number of materials and innovations to potentially revolutionize seismic design of future bridges to help protect lives, prevent damage and avoid bridge closure even when there is a strong earthquake. "We anticipate these designs and components would be used in future bridge and overpass construction," Saiidi said. 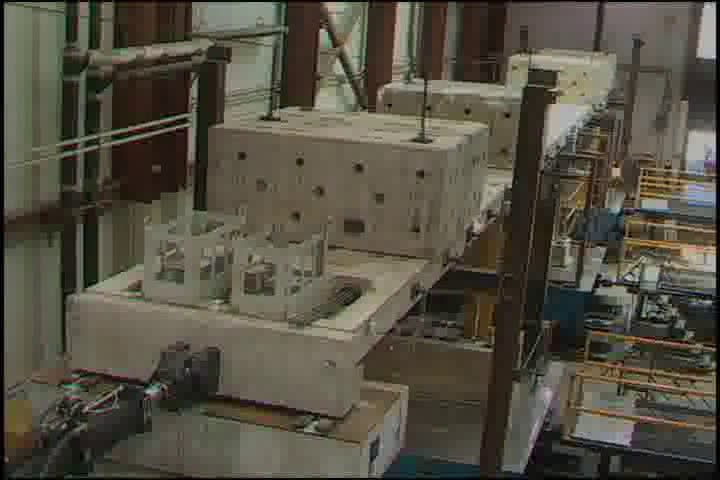 The11-foot-high, four-span concrete bridge model was the third experiment in a series of these tests using innovative composite materials and construction to give superior seismic performance for bridges and highway overpasses. "What is extraordinary about the construction techniques tested with this bridge is the use of glass and carbon fibers to support the bridge, precast columns, segmental columns and special steel pipe-pin connections in a high seismic setting," Saiidi said. The test was attended by about 50 engineers and industry representatives, including Caltrans chief of earthquake engineering and several senior bridge engineers from Caltrans and NDOT. About 100 viewers from around the country observed the test live via the Web. Though not all that glamorous, civil engineers do amazing things. What is this about carbon fiber and glass fiber inclusion? Are they combined with waterproofing- like also to keep road salt from destroying the rebar? That is an amazing machine. I like how it actually feels like an earthquake just by listening. WOW, 14 whole square feet? IMPRESSIVE!!!!!!!!!!!!!!!!!! Err i think you have missed the point of this test. They were essentially using a large scale model made with the actuall materials to see how well the design would work. 14 square foot shake tableSSSS (more than one). I believe the shaking surfaces are 14 square feet, but there are multiple shake tables and they are only the contact points with the ground. The model was larger, 110 feet long and 200 tons.